Nate Robinson is this week’s guest on The Life of Dad Show. Nate Robinson talks with Life of Dad Show hosts, Art Eddy and Jon Finkel about fatherhood and what he looks to instill into his kids as they grow up. Nate shares a heartfelt story about watching his daughter play basketball. He also talks about playing in the NBA and when someone stole his sneakers that Nike made just for him right before competing in the NBA Slam Dunk Contest during NBA All-Star weekend. 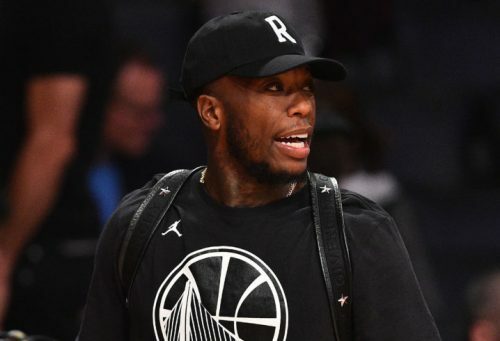 Nate Robinson spent 11 seasons in the NBA playing for the New York Knicks, Boston Celtics, Oklahoma City Thunder, Golden State Warriors, Chicago Bulls and Denver Nuggets. He was selected with the 25th overall pick in the 2005 NBA Draft. The 5’9’’ point guard is known for his high-flying abilities and is the NBA’s only three-time Slam Dunk Contest champion. Robinson had his best season in the NBA with the 2008-09 Knicks, averaging 17.2 points per game. In 618 career games, he averages 11.0 ppg. Robinson, who is an avid car collector, wrote a book in 2014 titled Heart Over Height with Jon Finkel. Follow Nate on Twitter at @nate_robinson.